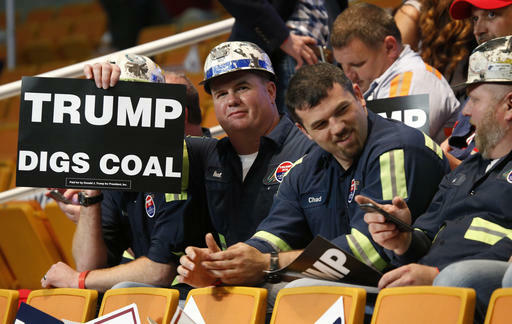 Election Day in coal country: A race to nowhere? May 10, 2016 by Ken Ward Jr.
Across West Virginia, the polls have opened. Primary Election Day 2016 has begun. Now we vote. Some things are likely decided already. It’s all but certain that Republican Donald Trump will face Democrat Hillary Clinton in the presidential race in November. The GOP candidate for governor in the fall will be Senate President Bill Cole. By the end of tonight, we’ll know who Cole will face from the three-candidate Democratic field. It’s hard to imagine the primary election results providing much progress in addressing the serious problems communities face in the ongoing decline of the mining industry. In many ways, the discussion here is mired in the same place it was four years ago, when I wrote a post called “Before tomorrow: Election Day in coal country” on the day of the 2012 General Election. Today’s primary doesn’t free us of campaign signs and pollster calls. It just sets us up for more of them between now and November. Importantly, though, the candidates who will carry on to the General Election will in many ways set the tone for the political discourse and community discussion about what we collectively should be trying to do to make the coalfields a better place to live, work, and raise families. 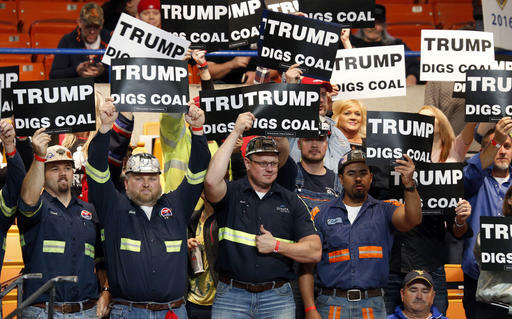 It’s clear that the presidential race will feature Trump’s pandering efforts to convince West Virginia coal miners that they’ll all be back to work soon enough, after he eliminates the U.S. Environmental Protection Agency and all those nasty rules and regulations. Secretary Clinton offers at least some hope that she will try to focus coalfield voters on huge problems that loom, such as the financial crisis with the United Mine Workers of America’s health-care benefits and pension plan — and just as important a dose of realism about the need to ramp up efforts to diversify coalfield economies. Unfortunately, the Clinton campaign has already given Trump and its friends in the coal industry the only soundbite they really need. We’ll be hearing it over and over and over and over. And one danger is that Secretary Clinton will buckle under on this, and start talking more and more about “clean coal” and carbon capture — catchphrases that only generate the same false hope that has the Trump campaign so popular with some of our state’s coal miners. Whether Clinton has a chance in West Virginia — and whether West Virginia will turn out to be important at all in the national election for president — really is less important in the context I’m talking about than what the focus and tone of the campaign does to broader discussions about where the coalfields are headed. The race for governor also offers to derail efforts to try to have frank, honest, and forward-thinking discussions about the coalfields. We are going to end up in West Virginia mining more coal in West Virginia than has ever been mined before. Mark it down. The other two Democratic candidates, Booth Goodwin and Jeff Kessler, have bravely not said anything nearly this crazy. Kessler especially has tried to give voters the hard, cold facts about both climate change and the future of coal, as former Gazette business writer Joe Morris explained in a recent op-ed commentary. A Justice victory certainly means that neither gubernatorial candidate will be talking straight about coal. Senate President Cole will be running against President Obama, and Mr. Justice will be promising miners and their families the impossible. Sadly, while other Democratic leaders have in recent months been a bit more clear about what’s happening in the coalfields, some of them are also fumbling around without much of a strategy — and often reverting to the uncomfortable place where it sounds like they know the truth, but are just afraid to speak it. Last week, for example, Sen. Joe Manchin was talking in a meeting with Gazette-Mail staffers about how there simply wasn’t any way for policymakers to anticipate what’s happening to Southern West Virginia coal production. It’s hard to believe Sen. Manchin really missed the signs and the warnings (see here, here and here for example), but that’s what he said. Jim’s an eternal optimist, and God bless him for that … Is that an overstatement? He knows the coal situation better than I. You’d have to ask him. I don’t think anyone believes the coal industry will return to the production levels of the past, but it is not going away. It’s unfortunate, but true, that saying this — saying the next coal boom isn’t just around the corner — is an extreme thing in today’s political climate. If — as the polls and many of the observers seem to think — the November ballot includes Trump and Justice, that’s only going to be more so, and that’s only going to make efforts for the coalfields to move forward that much more difficult. But hey, the coal association knows the truth. Can the candidates be far behind?